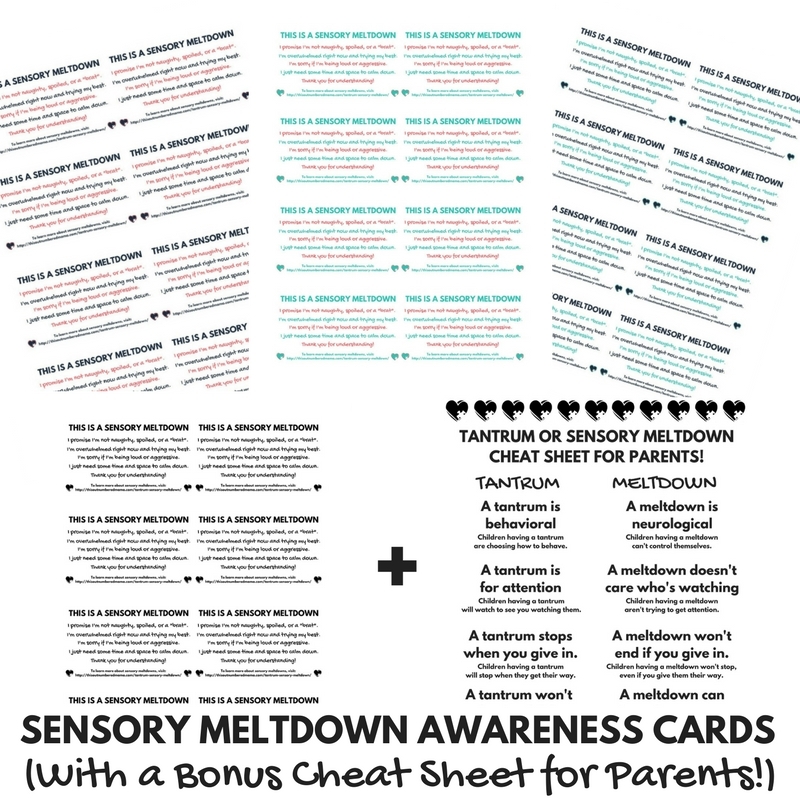 Does your child struggle with sensory meltdowns? Maybe you’ve been at the grocery store, mid-meltdown with the entire store staring at you and your screaming child? You’re not alone! I’ve been there a dozen times, and I know how much you want to explain to those judging eyes that your child is NOT throwing a tantrum! 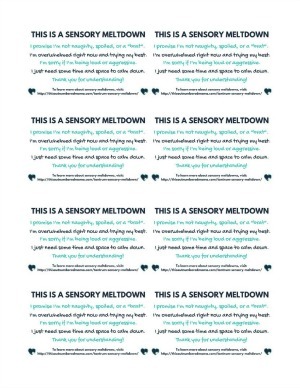 I know that I struggle to find the right words amidst the chaos, so I’ve put together these handy sensory meltdown awareness cards for parents to have on hand when a meltdown happens. If there’s a person you’d like to explain yourself to, but you don’t have the time, energy, or patience, hand them one of these cards. 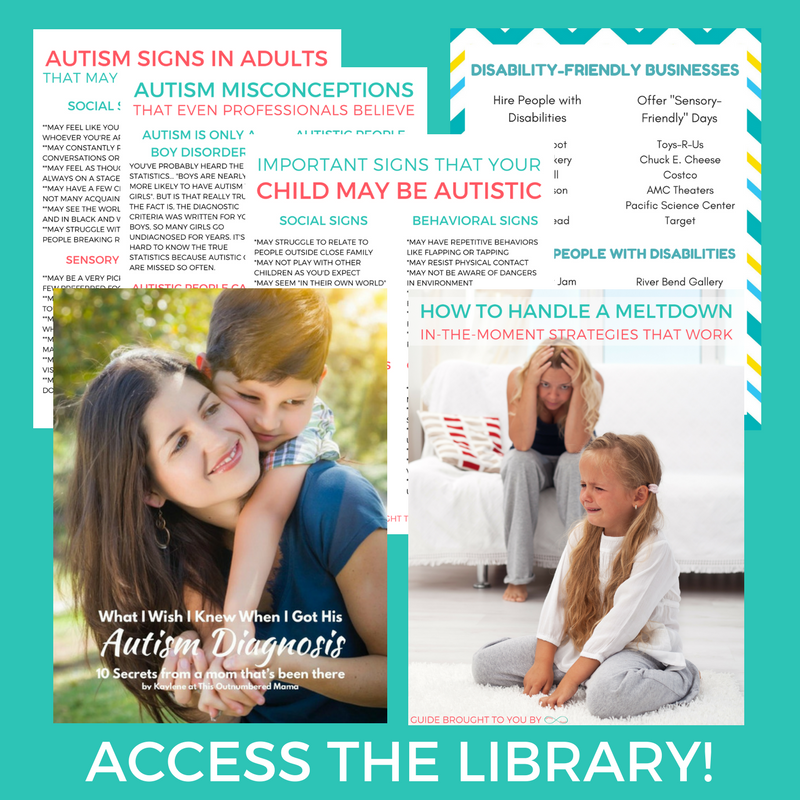 You’ll be helping to spread awareness and understanding, and they may just have a little more compassion the next time they see a child in distress. 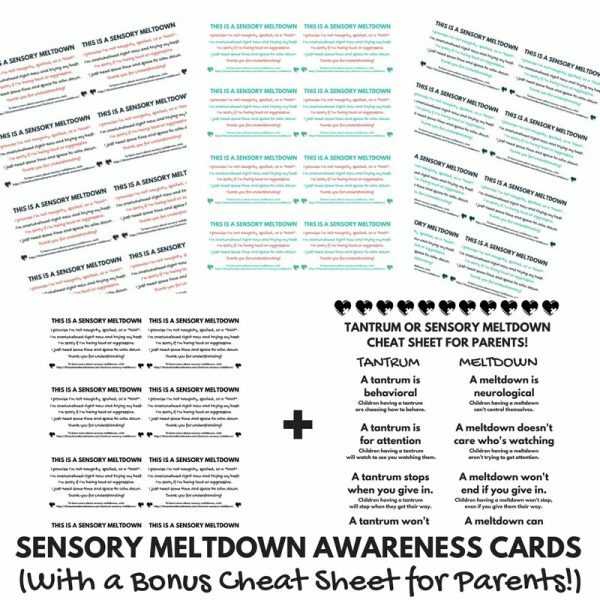 As an added bonus, I’ve included a “tantrum or sensory meltdown cheat sheet” for parents so that you can remind yourself the differences between a tantrum and a sensory meltdown! When you purchase you will receive a PDF file that includes the sensory meltdown awareness cards in 4 separate colorways. I’ve included teal + navy, coral + navy, teal + coral, and black and white. 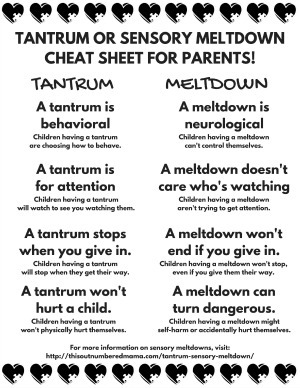 The file will also include the tantrum or sensory meltdown cheat sheet in black and white. 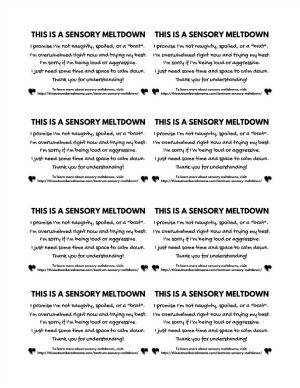 The sensory meltdown cards are business card size, and each page has 8 cards that you can print and cut out. Keep them in your wallet or purse to have handy when you want to share with someone. 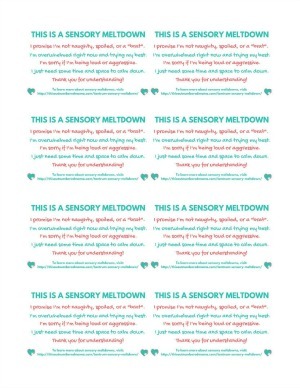 The tantrum or sensory meltdown cheat sheet is 8.5×11 and I recommend you frame it and keep it somewhere you’ll see it every day! This seems to be my 6 year old granddaughter. Hoping these cards may help others understand how she feels some of the time.